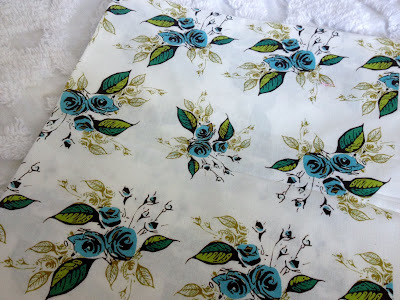 Uncategories Fabric Friday - What's on my Cutting Table? My cutting table is bursting with fabric in various stages of use for my London 2012 quilt. I thought I'd show you some of the fabric I've been using or I'm about to use. I can't make a quilt without dots. This red and white is going to be used in my London Eye block. I'm almost done with the Eye block, but this dot will be the fussy cut finish. The little chevron is going to be in a London banner I'm making in the border. I think. This quilt has been planned as I go. Not how I usually make projects but I've just let my imagination go this time. These two have been used in my London townhouses. 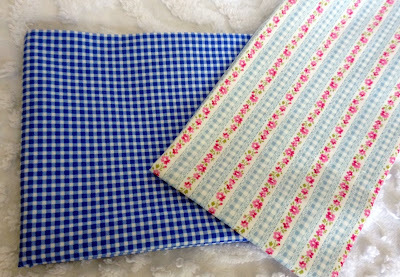 I really want to make a quilt just with row homes after making these. This is a fabric I got from Spoonflower. It is vintage inspired. I'm really not sure in what way I'll use it for this project but I will sneak it in somehow. These have also been used in the townhouses. Pam's blue check is really a staple in my sewing room. I can use it in anything. 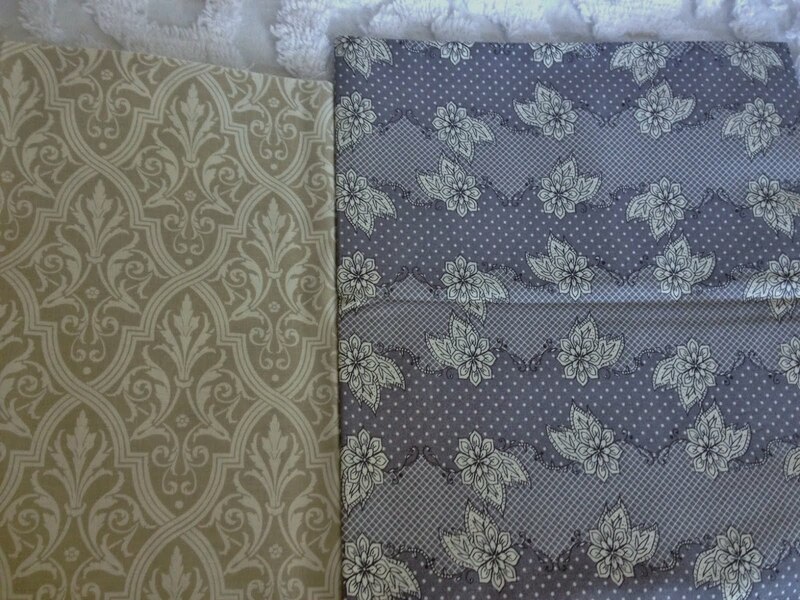 These fabrics are by Anna Griffin and BariJ and are both gray but vastly different shades. I'm going to fussy cut these and make crowns out of both of them. The queen has lots of different crowns, right? It is going to be very hot here this weekend, and dry. I both hate and love the dry. Have a nice weekend everyone. Gosh I love those fabrics! I think this is going to be really nice looking! And as far as dotties go, I agree they just make any quilt happier! You have a nice weekend too! And if I could, I'd send you a big bouquet of Hollyhocks!! Oh how pretty! You are so creative! 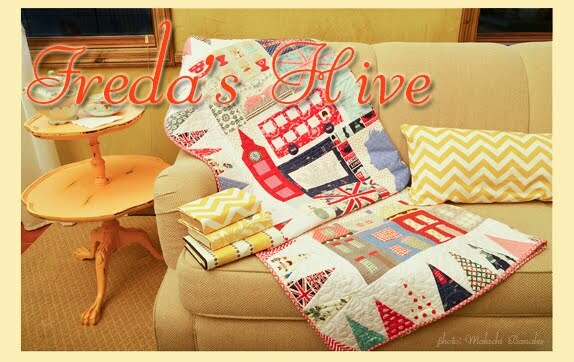 What a fun sewing space you must have! Such great fabrics! I have a thing for dots too. :) It's gonna be hot & dry here in IL this week-end too. We need rain! 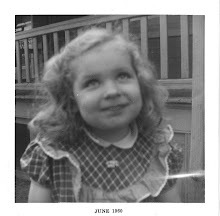 Hope you have a great week-end Nanette! You know I love red, so those first couple of pictures really made me happy. It's hot and dry here, too. I watered this evening. A lot. Loving it all. Especially the pink stripe. Gorgeous fabrics. Those red and whites really pop! i am so excited about your quilt!! 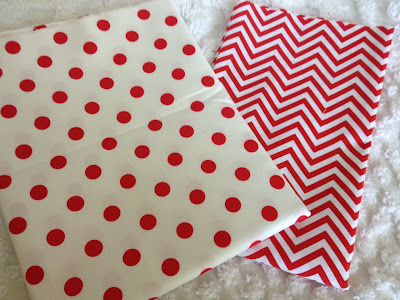 Can't wait to make it... that red/white zig zag is a swoon worthy! You always, always manage to put together the best combinations! I have dots and more dots as you know. I too love putting them in quilts. Oh, cannot wait to see your LONDON town house my dear. We are excited about the Olympics here too as we know so many people who are going to be trying for a medal. so pretty. love that spoonflower fabric. I am loving the polka dots. Looks like fun in your sewing room. Nanette, your imagination with fabrics is amazing! You totally make them rock in your quilts. 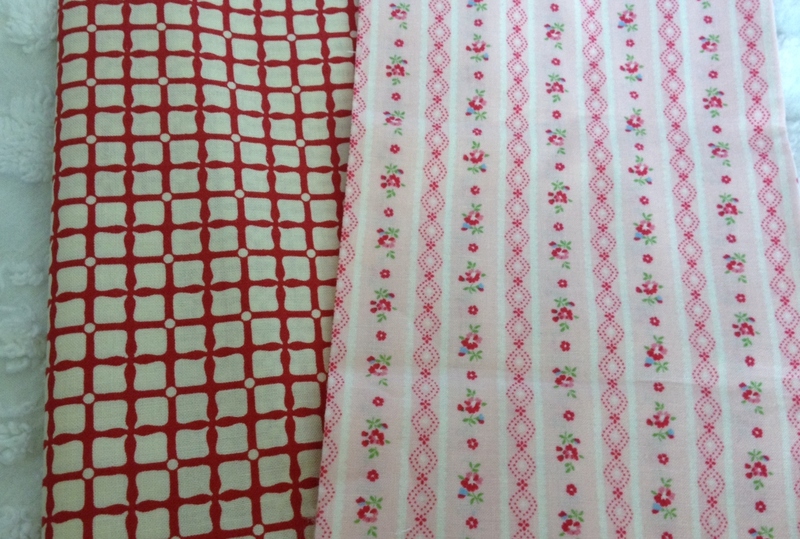 I bet these simple dots and stripes that look so innocent here will shine brilliantly in your London quilt! 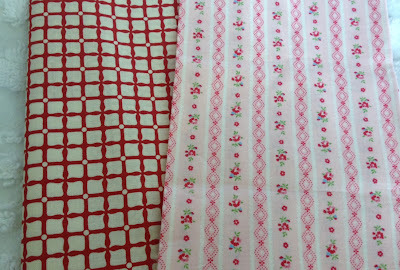 Oooh, pretty fabrics Nanette! I can't wait to see your quilt -- this IS the perfect year!